here’s another fab wedding from this spring photographed by one of my fave photography studios, richard bell photography. ellen is a good friend of mine’s sister-in-law and i was so glad to be given the opportunity to help plan her wedding. 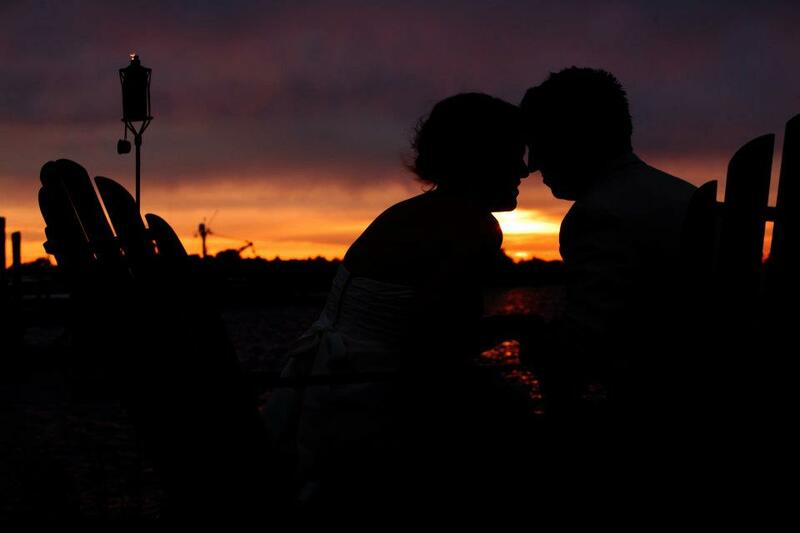 ellen and bryan got married at the island house on john’s island on may 19. the day started out cloudy and chilly but it didn’t rain and, as you’ll see, the sunset was spectacular! the ceremony set-up included ivory market umbrellas and beautiful pomander balls on shepard’s hooks by karen at ok florist. the ceremony was officiated by the couple’s pastor from their church and they had close fr iends who read and sang during the ceremony. it was truly a lovely and personalized ceremony for these two. 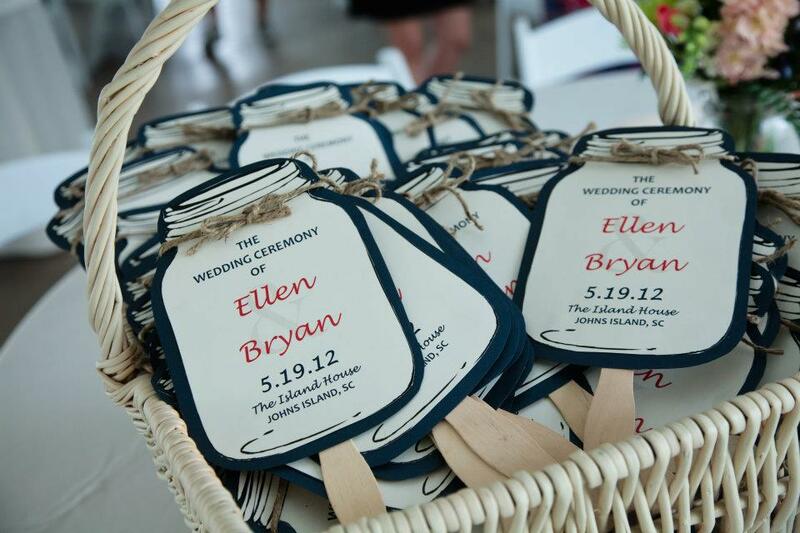 other lovely touches included the bride’s handmade mason jar program fans – a lovely and clever idea for an outdoor charleston ceremony. 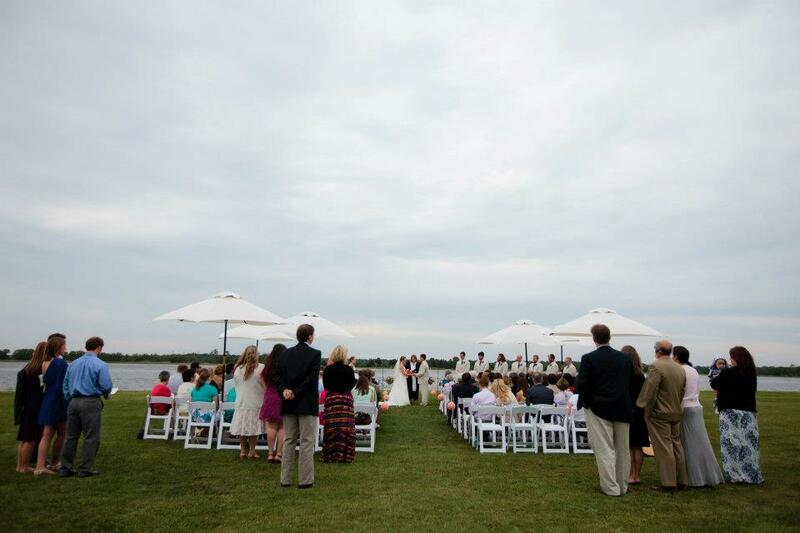 she also used a hammock to hold her wedding gifts and had adirondak chairs and a joggling board along the water for guests to enjoy the view. with tiki torches and cafe lighting strung to the sea wall, they really took full advantage of the amazing waterfront location of this venue. after the ceremony, they had a lovely cocktail hour on the island’s home’s front porch and then transitioned to the tent for the reception. the music and photobooth were provided by finger snappin’ entertainment. the food was beautifully presented by hambys catering. long enough to take some beautiful photos. don’t you just love this photo? the sunset was absolutely incredible. the pictures don’t do it justice. 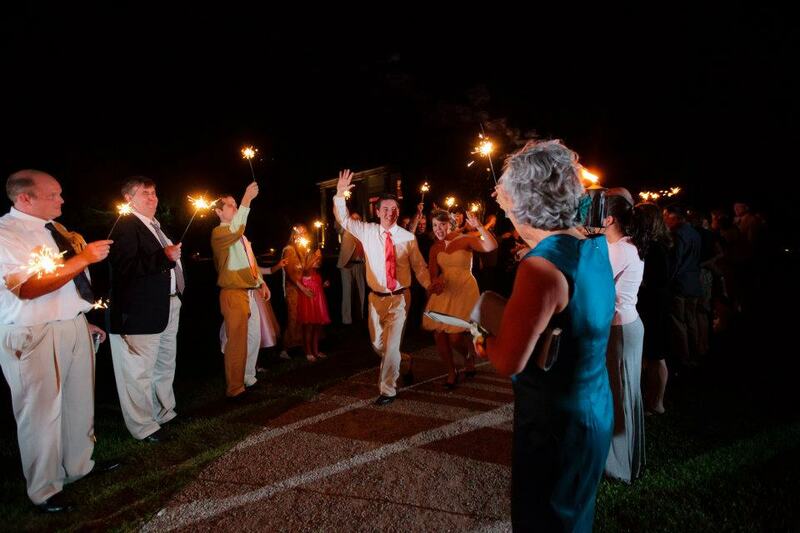 after the sunset, the party continued with family, friends, sorority sisters, and serenades. the newlyweds bid farewell through a tunnel of sparkles and departed in a black cab. 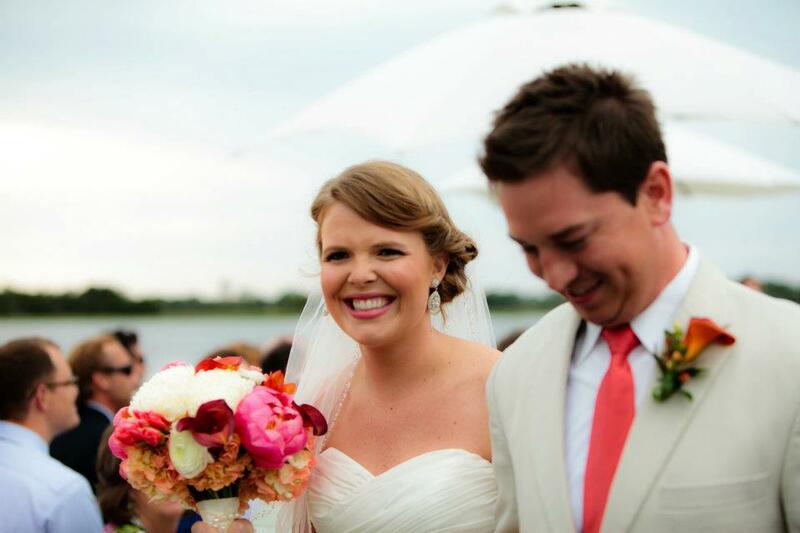 they honeymooned in the dominican republic – my fave! and have b ecome a happily married couple. i wish these two so much happiness in the coming years. 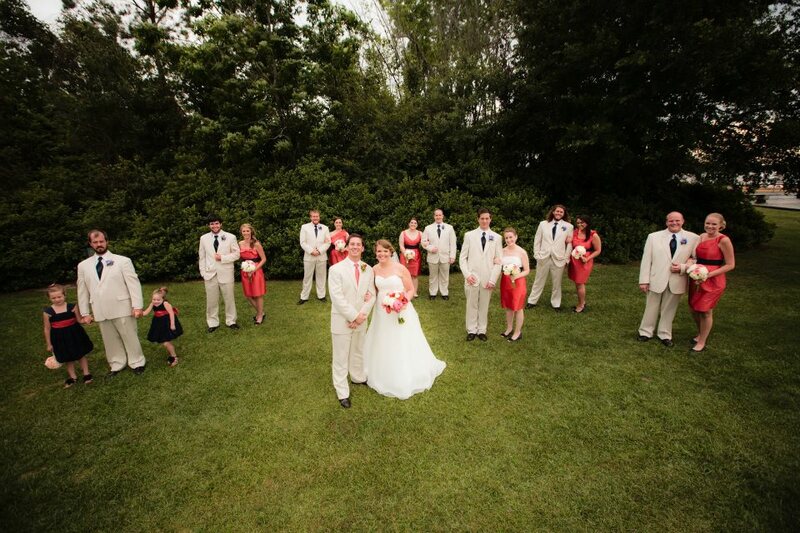 congratulations mr. and mrs. clemmons! 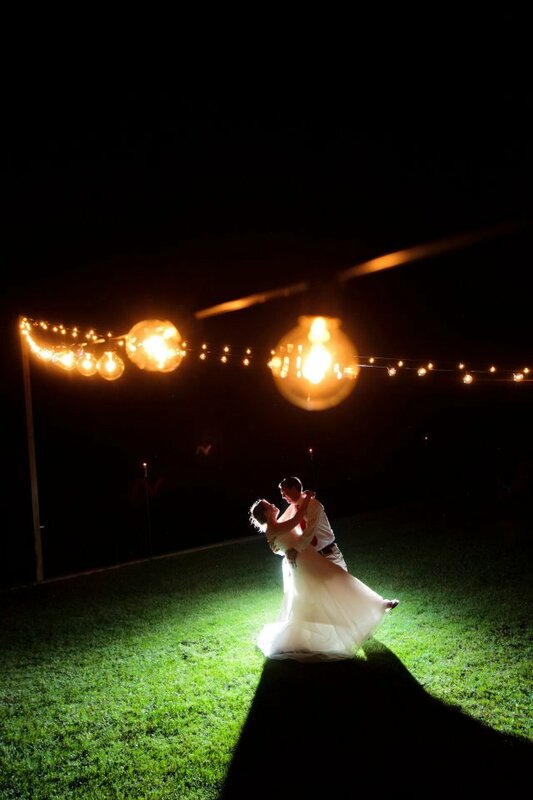 thank you for letting elle courtney events be part of your day. we loved every minute!